LED lighting has been all the rage in recent years for good reason: They are environmentally friendly, durable, long-lasting, and they are cooler than their incandescent counterparts (which makes them less likely to burst or burn you). Citing all of the above, many cities around the country have slowly transitioned their outdoor lighting, spending millions of dollars swapping out their old-school incandescent bulbs for new LED ones—Pittsburgh among them. But for every yin, there is a yang, and while LED lighting boasts many advantages, it also has its share of downsides, and driving glare is among them. According to a recent study, the 'Burgh isn't immune. The American Medical Association (AMA) sounded the alarm back in June: Some LED lighting can have harmful unintended consequences to drivers. Namely, they cause glare. The AMA felt strongly enough about these hazards to adopt community guidelines related to appropriate LED lighting. Since the organization adopted those guidelines, many cities across the nation are doing their part to help follow them. In fact, 25 cities—including Phoenix and Lake Worth, Florida—are changing the types of LEDs they use for exterior illumination. Instead of using 4,000 or 5,000 Kelvin LED lights, many are swapping them for more moderate 3,000 Kelvin models. Since 2008, Pittsburgh has spent millions of dollars replacing thousands of incandescent bulbs with LED lights. 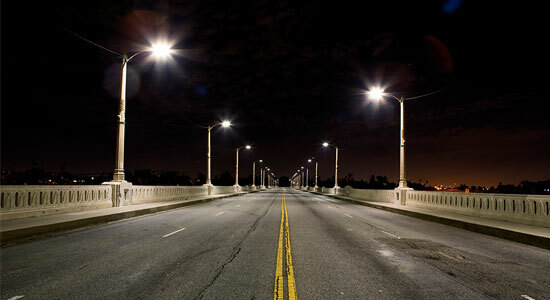 But a recent study conducted by Carnegie Mellon University, the city and C&C Lighting confirmed that while the change came at a significant cost savings (some estimates have the Golden Triangle saving nearly 80 percent in energy costs), more must be done to improve the quality of light for drivers. Despite installing thousands of light coverings, glare remains an issue—one that officials say is on their radar for improvement. That's encouraging news to the car accident injury attorneys at Edgar Snyder & Associates. Our lawyers understand how bad road design, poor signage and ineffective lighting can cause life-altering accidents. It's important for municipal leaders to understand how poor design can absolutely create driving hazards.